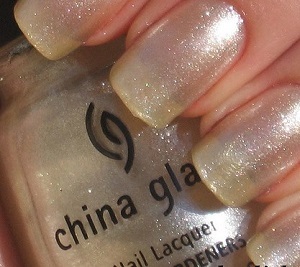 China Glaze Nail Polish, Straight Up, CGT426, .50 fl. oz. Sheer soft ivory nail color with silvery white glass fleck shimmer. China Glaze Martini Pedicure Collection.